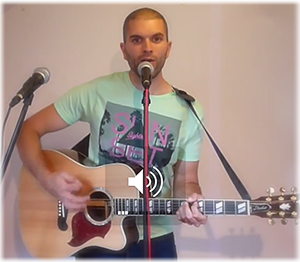 Hi, I’m Pat – a singer and acoustic guitarist from Bristol in the South West of England. I’ve been performing and entertaining crowds for over a decade now, and I began specialising in wedding entertainment in 2011. I wanted to provide a different service from what was already out there – traditional classical guitarists are ideal for subtle background music, but I wanted to offer more of a focal point to entertain guests and provide something unique and memorable. An experienced musician and live performer, my love of music started at an early age – learning piano from age 8 and a self-taught guitarist from my early teens. 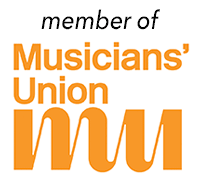 I graduated with a degree in Music Technology in 2004, and completed a Masters degree in Songwriting in 2011. 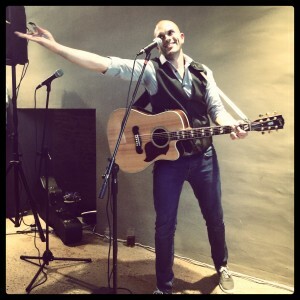 I’ve been performing as a solo act regularly in Bristol and am well known on the acoustic scene. My sound could be broadly described as male singer/songwriter… but I cover lots of genres from folk to soul, pop to Motown. I play live with a loop pedal to create a distinctive sound. The loop pedal gives a whole new dimension to acoustic performances, allowing me to record percussion and even backing vocals an harmonies live, in real time! I have a large and varied repertoire to choose from, with all eras covered from the 60s to the present day. The set list is your choice – and of course I welcome requests. I offer a number of options, covering the whole day. 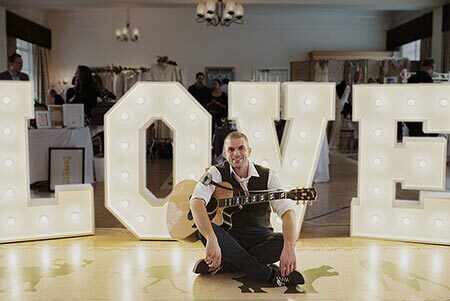 To read in more detail about daytime or evening live wedding music see my guitar packages page here. 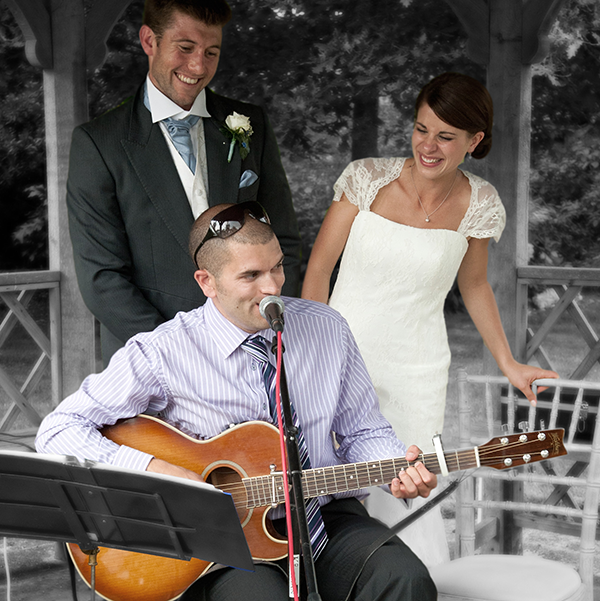 My most popular music package is the daytime option covering the wedding ceremony and drinks/canapé reception. Live acoustic music at the ceremony is always a special moment – I play your chosen songs to accompany the walk down the aisle, the signing of the register and the recessional (exit). I’ll also provide a bit of ambience as guests are seated to the ceremony. After the ceremony there is usually an hour or two before the wedding breakfast. This is a time when the wedding couple often have photographs taken, and guests mingle with drinks and canapés. It’s a perfect time for live acoustic entertainment – it turns your drinks reception into an event in it’s own right, rather than a lull in the day! The music is usually fairly relaxed in this instance – think Jack Johnson, Adele, Eric Clapton… but as always, you’ll be in full charge of the set list! In the evening, the set list tends to be more upbeat and lively. I aim to get everyone up onto the dance floor and singing along. It’s amazing the difference having a live performer makes – people just love having that interaction, and it really helps guests get into the party mood. Sometimes I’ll be the warm-up before a band or DJ comes on, other times I’ll be the main entertainment for the evening. Either way, I relish every single performance – put me on a stage and I’m at home! I also offer the option of playing a beautiful acoustic version of the First Dance Song. Having your song played live is a personal, memorable moment and one you’ll cherish for the rest of your married lives. You can choose any song you like, and I’ll learn it especially for the occasion. I can even send you an mp3 to practice to! For First Dance tuition and lessons, click here. If you found me via YouTube, you’ll probably already be aware of one of my unique selling points – the loop station! Every since I saw this performance, I knew I had to get one of these gizmos. That was about a decade ago, and I’ve been performing with a looper ever since. It’s a fantastic tool which allows me to record my guitar and backing vocals, meaning that I can create a larger-than life sound on stage. I’m very careful not to over-use the loop pedal though. Search ‘loop pedal cover’ on YouTube and you’ll be inundated with 8-10 minute videos of guitarists obsessively building loops. Great if you’re a guitar or loop pedal fanatic, but very boring if you’re watching live! 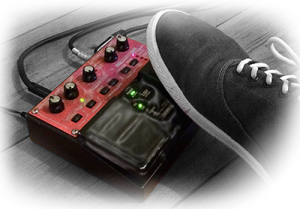 I use the loop pedal sparingly, it gives another dimension to my performance but never takes over. So no self-indulgent 10 minute solos here! I take this little baby everywhere with me, and if you want to see exactly how it works, you can check out one of my live gigs in Bristol. You can also click the image above to see some of my looping examples on YouTube. 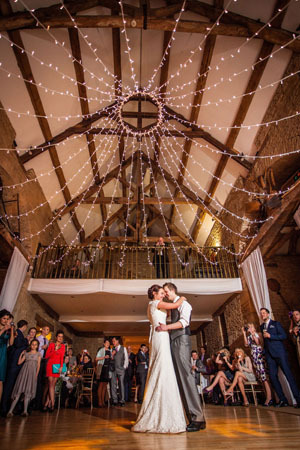 meet with you at the venue (where possible) prior to your big day, to discuss requirements and get to know you. be totally transparent with pricing – you can see my rates here and any questions about travel and fees are listed here, so there are no hidden costs. put you in control of the music you want played, and honour as many requests as possible. go above and beyond to make sure you’re happy with everything – for example, I’m always happy to send you an mp3 of your First Dance or Bridal Entrance song, to make sure you know how it will sound acoustically before the big day. There may be cheaper musicians out there, but I pride myself in giving a first class experience – not just on the big day, but right from the start of your booking with me. I’ve worked hard to build up my reputation – so far feedback has been 100% positive from every one of my bookings – and I truly believe that my services are the best around. I guarantee professionalism, reliability and flexibility – but don’t just take my word for it, read what past clients have to say. I regularly cover weddings in Bristol, Bath, Somerset, Wiltshire, and Gloucestershire, The Cotswolds and surrounding areas. For example: Swindon, Weston-Super-Mare, Clevedon, Nailsea, Bradford-on-Avon, Portishead, Berkeley and Thornbury. 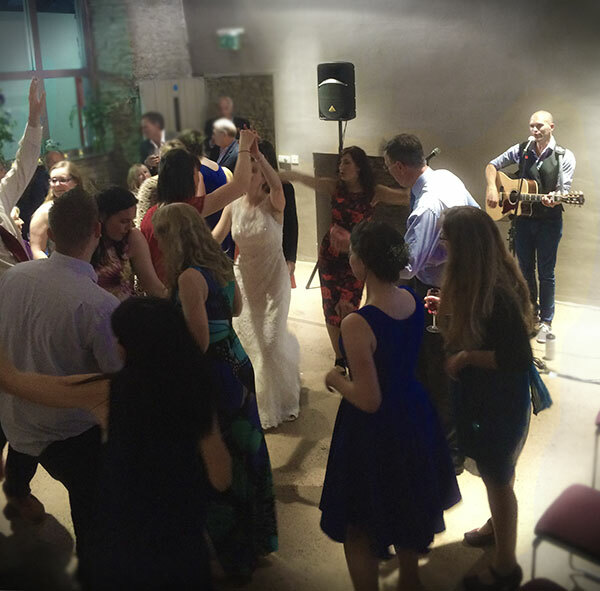 I also cover Devon, Cornwall and Dorset – last year I played at weddings in Newquay, Poole, Plymouth, Falmouth, Exeter, St. Ives, Woolacombe, Minehead and Bridgwater. I also cover South Wales, e.g. Cardiff, Newport, Chepstow and Monmouth. However I’m more than willing to travel if your venue is further out, so just get in touch if you’re not in one of the areas listed above. 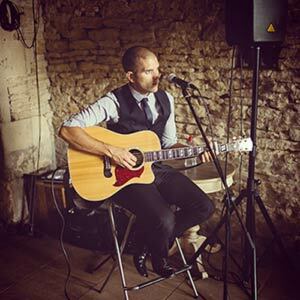 I’ve played weddings in Oxfordshire, Worcestershire and London before now, and have even had international enquiries for weddings in Sicily, France and Los Angeles! 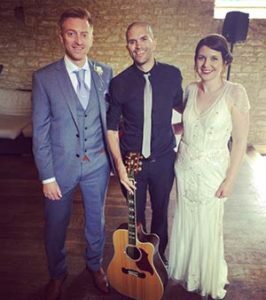 If you’re interested in booking me, or want some further information, you can contact me here, drop me an email on info@guitaristforweddings.co.uk, or give me a call on 07817 930779. I am also available for birthdays, parties and other events – do get in touch if you’re looking for a guitarist/singer to entertain at your event. Thanks for dropping by – and should you choose to book, I look forward to getting to know you!